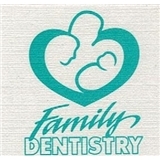 Chantry Dental Care (Davis) - Book Appointment Online! Our offices are designed to make your dental experience as easy as possible. Whether it’s our environment, technologies available, appointments or financial options, we make it easy to get your work completed. We do this in a family friendly comfortable environment. Dr. Alvarado was very friendly and explained everything well. The office is clean and the front desk is friendly.